Many organizations interested in producing a musical don’t have enough musicians to make up an orchestra. OrchExtra™ is a sound enhancement system run right from your laptop that assists you by providing the missing instruments on digitized tracks. The program is not intended to be used as the sole source of music for your production; it is recommended that OrchExtra™ be used in addition to at least three or four live musicians in order to maximize the sound quality of the score. OrchExtra™ is available online, and may be used with your own equipment, which lets you use it longer and install it on multiple computers for added rehearsal flexibility and backup safety. Each sequence can then be performed, beat-by-beat, using the OrchExtra system. Since each orchestra part is on a separate channel, they can be turned “on” or “off” depending upon the musicians you have available. Your musicians play as usual while the instruments missing from your ensemble (but required in the score) are played by OrchExtra™. We offer free downloads of five songs to help you decide if OrchExtra™ is right for you. 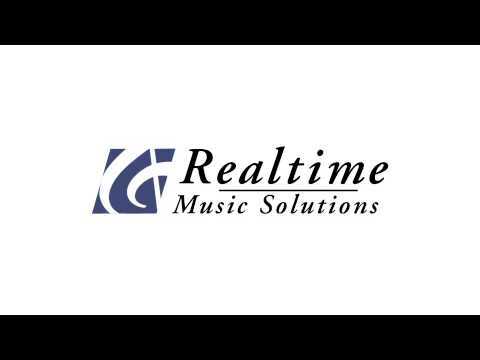 For more information about pricing, technical requirements, or to order, visit our partner, Realtime Music Solutions. Important: All prices quoted on the Realtime Music Solutions website are in US dollars. Can I use a purchase order to pay for OrchExtra? Unfortunately, Realtime Music Solutions cannot accept PO's at this time. RMS recognizes that some organizations find this burdensome and regret the inconvenience. RMS is a very small company. If they were to commit the necessary manpower to PO administration and accounts receivable follow through, it would diminish their capacity to develop new products, features, shows, etc. In time, they may very well change the policy. But at this stage in their growth, they believe customers are better served by focusing on the latter. Payment can be made by check (paper or electronic) and credit card. Is Orchextra like a click track? Absolutely not. Orchextra is a fully functional instrument that is to be played at all times by a musician. There may be sections in rehearsal where the player can hit "Go" and have it play by itself according to the tempo set in the tempo map. This is not how the instrument was intended to be played. Wondering if OrchXtra will be available for Newsies, and if so, when? I would like to use the Annie synfonia resource. I need a cost estimate. Related shows or resources: OrchExtra, Something Rotten! Are there plans to create an OrchExtra for "Something Rotten"?